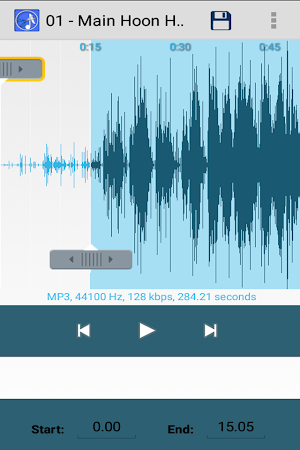 Make your own MP3 ringtones easiest way with this app. 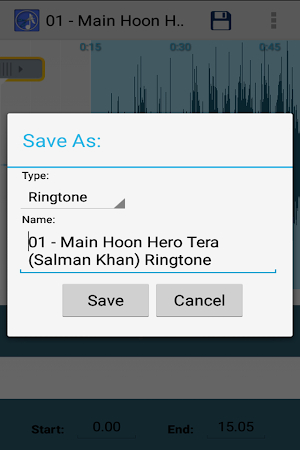 Use this mp3 to ringtone maker free of cost and make the superb ringtones ever from your songs. 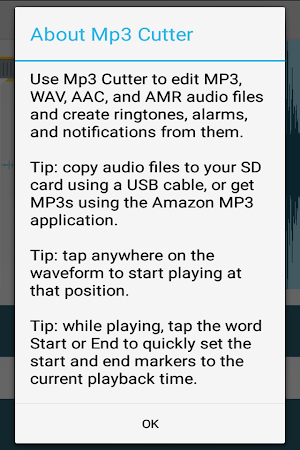 How to use Mp3 To Ringtone Maker: 1. First screen you can see all songs in your storage sd card and phone. After you can see your already ringtones with same screen. 2. Select your MP3 song,. Get the installation package of Mp3 To Ringtone Maker 1.1 free of charge and have a look at users' reviews on Droid Informer. The app runs on Android devices 3.0 and higher. This application is completely safe for downloading. The tool is created by VVC Infotech and its category is Music & Audio. The latest release was on May 24, 2016 and Mp3 To Ringtone Maker was downloaded and installed by over 5K users. Google Play displays that the app is rated 4.2 by its users. There are adverts in this application. It is the best partner to find your favourite singers and genres. God Songs. Shiv Ringtones. Lord Shiva songs. Shiv songs. Shiv Mantra. Watch The TV shows, movies, videos as well as locally stored FLV, MKV, MP4, MP3. A TO Z Disease are available in this app. It is Amazing app to turn your device into a torch light. Raksha Bandhan HD Wallpaper categories like Happy Raksha Bandhan, Quetos. Navratri HD Wallpaper categories like Happy Navratri, Hindi Wishes. Mehndi Designs ultimate collection to different categories. Rangoli Design Wallpapers app contains all the high resolution.